A beautiful, high-quality stationery range celebrating style icons from around the world. 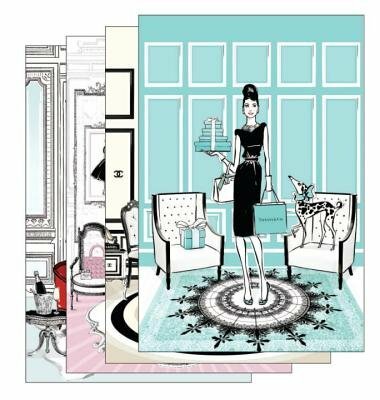 This unique stationery range by Megan Hess is the companion to her "Fashion House" book, which depicts beautiful illustrated interiors from the style elite. Gracing the front of this collection of four mini notebooks are Megan's gorgeous illustrations of Audrey Hepburn, Grace Kelly, Coco Chanel, and Elizabeth Taylor. This is an exquisite collection perfect for lovers of fine stationery.